“Lawyers to the left of them, lawyers to the right of them”, the Economist pithily remarked about the situation the British Army increasingly finds itself in. All ranks will be trained more and more in their legal responsibilities, alongside their tactical and technical skills. With increasing media scrutiny, legal awareness, and a litigious environment, as well as the repatriation of the fallen making the circumstances of the death of service personnel the province of coroner’s courts, the Army faces challenges on two fronts- its duty of care to its troops, even in the face of hostile actions and protection of the the human rights of its enemy and the population of the countries in which it is operating. The Army Legal Service – now more indispensable to the infantryman than a bayonette? But it is not only the Generals and Defence Ministry who have these legal responsibilities. Although the duty of care cases have been mainly directed at the Ministry and staff for issues such as failings in procurement and supply, the much publicised cases of murder and abuse in Iraq and Afghanistan by both British and American forces have been levelled against private soldiers and NCOs. More than ever the soldier of all ranks’ responsibility to his comrades is a matter of civilian law as well as military duty and he is expected to understand personally how he must treat his enemy. The so-called “Nuremberg Defence”, that a soldier has a legal responsibility to follow orders, and so he cannot be held accountable for his actions whilst following those orders, was notably, although largely unsuccessfully, adopted by German defendants in the post Second World War Nuremberg trials and is generally considered inadmissible. British military law, currently enshrined in the Armed Forces Act of 2006 if a member of the forces “disobeys a lawful command” he (*1) can be punished with up to ten years imprisonment. The emphasis, though, is on “lawful command”, the British (*2) law (and American Law is very similar) requires every soldier, from a newly passed-out private to the Chief of Staff to assess whether each order is in fact “lawful”. If it is unlawful, he is under no obligation to obey it thus any crime he does commit is his own responsibility. This seems, on the face of it proper and reasonable. A soldier, raised and educated in the morality of a modern liberal democracy should be permitted and expected to refuse an order to, say, torture or murder a prisoner. 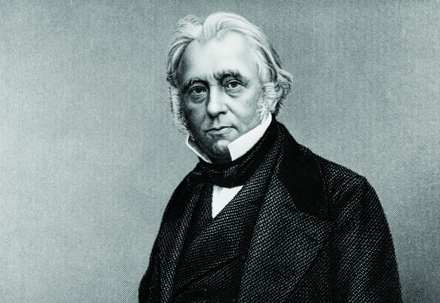 150 years ago, though, Thomas Babbington Macaulay thought very differently. 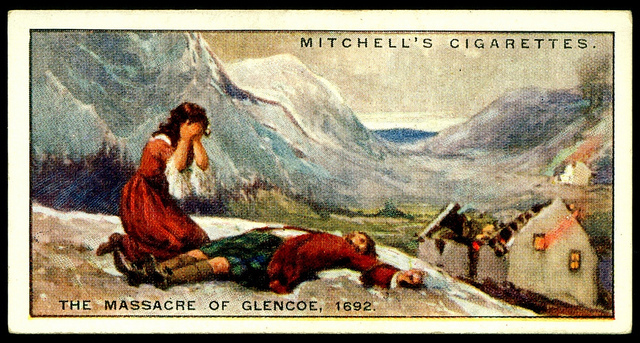 He was writing about the Glencoe Massacre (*3), 160 years earlier in his History of England. His telling of the build up massacre and aftermath is Macaulay at his best, and arguably his worst. With a good tale to tell and a cast of flawed characters he is characteristically gripping and astute, judgemental and bigoted. As I am interested here in Macaulay’s views on Lawful orders, not the fraught question truth of who actually did occur at Glencoe and why, I’ll stick to Macaulay’s account here. In 1691, in the aftermath of Highland resistance to the government of William and Mary, it was proclaimed in Edinburgh that any rebel clan who swore to live peaceably under the Crown by 31st December would receive a pardon. Most blustered for a while and then submitted. Chief of the Glencoe Macdonalds was one Mac Ian who, in a display of dramatic cussedness decided that he would only make the oath at the last minute. This was a decision which would fatally backfire. On arriving at Fort William on 31st December he found that there was no magistrate present qualified to take his oath and, delayed by bad weather, it was 6th January before he took the oath in Inveraray. Although a certificate was sent to Edinburgh recording this oath, its lateness placed Mac Ian and his clan technically outside of the law. This (according to Macaulay) was the cause of delight to three of Scotland’s leading noblemen. 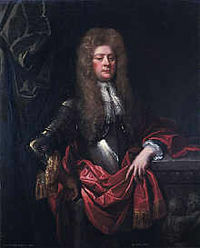 The Earl of Argyl and the Earl of Breadalbane were both Campbells, hereditary foes of the Macdonalds and the latter in particular had borne the brunt of Mac Ian’s thievery. The third, John Dalrymple, Master of Stair, had rather different motives. Macaulay excuses William (rather too readily, most suggest) as a busy monarch who, kept uninformed by his minister signed the vague order, not fully understanding what “extirpate” might mean in the hands of Argyl, Breadalbane and the Master of Stair. The task was given to the Argyl regiment, newly raised and mostly manned by Campbells. It’s Colonel, Hill was passed over for its command for being too humane a man and a Lieutenant Colonel Hamilton given the mission. With Breadalbane and Argyl having been given the task of securing any escape routes, Hamilton sent in a detachment of 120 soldiers under a Captain Campbell (known generally as “Glenlyon” after his family seat to distinguish him from the many other Campbells) and a man related by marriage to Mac Ian’s tribe. Here the tale takes that particular turn which distinguishes it in most minds from the other, none too rare, such slaughters of that time. Exhibiting the highland traditions of hospitality, and trusting their in-law Glenlyon more than most Campbells, the Glencoe highlanders took in the soldiers who lived among them, ate, drank and were entertained by them. Then, on the morning at 12th Feb 1692, at about 5 a.m., the soldiers started systematically slaughtering their hosts. Mac Ian was shot in the head and killed, his wife died the following day. The death toll on the day was in the thirties. Those killed were mostly men but seemingly some women and children were among them. It was ineptly done though. Many escaped, including Mac Ian’s sons as the troops who were meant to close up the ends of the glen were late and those in the glen poorly disciplined. The village was burned to the ground and as many again died of exposure after fleeing into the highland wilds in February. The order to Glenlyon- a condemnation or a defense? You are hereby ordered to fall upon the Rebels, the MacDonalds of Glencoe, and put all to the sword under 70. You are to have especial care, that the Old Fox and his Sons do upon no account escape your Hands, you are to secure all the avenues that no man can escape: this you are to put in Execution at five a Clock in the Morning precisely, and by that time or very shortly after it, I’ll strive to be at you with a stronger party. If I do not come at five, you are not to tarry for me but fall on. This is by the King’s Special command, for the good and safety of the country, that these miscreants may be cut off root and branch. See that this be put in execution without Feud or Favor, else you may expect to be treated as not true to the King or Government nor a man fit to carry Commission in the King’s Service. Expecting you will not fail in the fulfilling hereof as you love yourself, I subscribed these with my hand. Word of what happened in that isolated place took a long time to properly surface, but when it eventually did it caused great repugnance, the betrayal of the hosts after their long, trusting hospitality causing particular disgust. An enquiry, was held some three years later by the Parliament of Scotland. Macaulay admired the thoroughness of the report, but not its verdicts. The killings were, it declared, murder, but The Master of Stair guilty only of immoderate zeal. Breadalbane and Argyl suffered damage to their reputations only. Hamilton fled and had some guilt laid on him. The men who were designated as “murderers”, however were Glenlyon, Captain Drummond, Lieutenant Lindsey, ensign Lundie and Serjeant Barbour- the junior officers and an NCO on the scene. The Parliament of Scotland was undoubtedly, on this occasion, severe in the wrong place and lenient in the wrong place. The cruelty and baseness of Glenlyon and his comrades excite, even after the lapse of a hundred and sixty years, emotions which make it difficult to reason calmly. Yet whoever can bring himself to look at the conduct of these men with judicial impartiality will probably be of opinion that they could not, without great detriment to the commonwealth, have been treated as assassins. They had slain nobody whom they had not been positively directed by their commanding officer to slay. That subordination without which an army is the worst of all rabbles would be at an end, if every soldier were to be held answerable for the justice of every order in obedience to which he pulls his trigger. The case of Glencoe was, doubtless, an extreme case; but it cannot easily be distinguished in principle from cases which, in war, are of ordinary occurrence. Very terrible military executions are sometimes indispensable. Humanity itself may require them. Who then is to decide whether there be an emergency such as makes severity the truest mercy? Who is to determine whether it be or be not necessary to lay a thriving town in ashes, to decimate a large body of mutineers, to shoot a whole gang of banditti? Is the responsibility with the commanding officer, or with the rank and file whom he orders to make ready, present and fire? And if the general rule be that the responsibility is with the commanding officer, and not with those who obey him, is it possible to find any reason for pronouncing the case of Glencoe an exception to that rule? It is remarkable that no member of the Scottish Parliament proposed that any of the private men of Argyle’s regiment should be prosecuted for murder. Absolute impunity was granted to everybody below the rank of Serjeant. Yet on what principle? Surely, if military obedience was not a valid plea, every man who shot a Macdonald on that horrible night was a murderer. And, if military obedience was a valid plea for the musketeer who acted by order of Serjeant Barbour, why not for Barbour who acted by order of Glenlyon? And why not for Glenlyon who acted by order of Hamilton? It can scarcely be maintained that more deference is due from a private to a noncommissioned officer than from a noncommissioned officer to his captain, or from a captain to his colonel. It may be said that the orders given to Glenlyon were of so peculiar a nature that, if he had been a man of virtue, he would have thrown up his commission, would have braved the displeasure of colonel, general, and Secretary of State, would have incurred the heaviest penalty which a Court Martial could inflict, rather than have performed the part assigned to him; and this is perfectly true; but the question is not whether he acted like a virtuous man, but whether he did that for which he could, without infringing a rule essential to the discipline of camps and to the security of nations, be hanged as a murderer. In this case, disobedience was assuredly a moral duty; but it does not follow that obedience was a legal crime. It seems therefore that the guilt of Glenlyon and his fellows was not within the scope of the penal law. The only punishment which could properly be inflicted on them was that which made Cain cry out that it was greater than he could bear; to be vagabonds on the face of the earth, and to carry wherever they went a mark from which even bad men should turn away sick with horror. For Macaulay, then, the Nuremberg defence is entirely admissible. The Captains, Lieutenants, Ensigns and Sergeant were legally right to carry out their orders. The modern concept of a junior serviceman’s responsibility would be ludicrous to Macaulay. To him, the Master of Stair was the ultimate source of the order and he bore the whole responsibility. All subordinates behaved legally, if not morally, as they should. Interestingly Macaulay who, along with the Scottish parliament, absolved William of all responsibility of instigating the command, holds him in “great breach of duty” for not holding The Master of Stair responsible, indeed regarding it as one of the greatest stains on his reign. Admittedly the scope of legitimate military action has arguably shifted even further since Macaulay’s days of Colonial policing by the military. No modern army of the liberal democracies is likely to be asked to decimate mutineers or summarily wipe out banditti or (with the ignoble exception of Israel) raze prosperous towns, but his point still has resonance. Can we expect the modern soldier to routinely make these judgements on the legality of his orders? Or, as Macaulay suggests, might this paralyse him at a crucial moment or lead to a breakdown in the trust necessary for the military to function. The extreme cases would seem easy to judge. Although Macaulay would disagree, I think few would doubt that any soldier should be expected not to shoot a helpless prisoner, no matter who told him to. But inevitable most cases are not so simple. It is easy to conceive situations (that of Private Lee Clegg in Northern Ireland in 1990 occurs) where a soldier has to make an instantaneous decision of whether to shoot or not, with or without orders to do so. Getting this decision wrong could have not only the momentous consequence of taking another’s life, but also, in that instant making yourself a murderer. None of the rest of us, regardless of our professional responsibilities, are placed in such a position where our action have such immediate, direct and dire consequences. Regardless of whether we believe in the wars these soldiers are fighting, they have been placed there by our governments, our societies and are expected, as well as risking their lives, to expose themselves to these consequences when acting as our proxies. The argument that the modern soldier is more educated and morally aware than his forebear and is better placed to make such calls has, to me, somewhat limited currency. 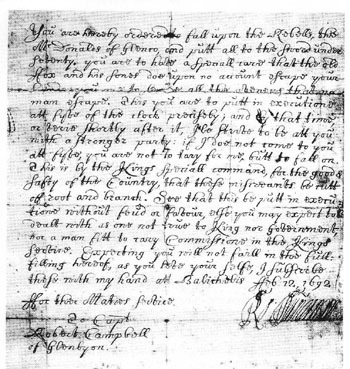 Although Macaulay assures us that the late seventeenth century soldier was more lax than his puritanical New Model Army predecessor, and he is less wordly than the modern soldier, the late Seventeenth Century musketman would have been raised on a fairly rich diet of protestant morality and public debate on a man’s rights under law. So am I taking Macaulay’s line that troops, if acting under orders , should be immune from legal penalty? No, of course I can’t advocate this. If our troops behave badly, or we are seen to sanction or inadequately punish this behavior, we lose any shred of moral basis for overseas wars that we have. Further their presence becomes counterproductive and exposes their comrades to greater hazard. It has to be the responsibility of the Subaltern as well as the Secretary of State, the Corporal as well as the Colonel to ensure this is so, and this must have the sanction of law. But in applying the law, framed for comfortable Britain, where by and large, the populous is at worst neutral about our well being, and applying it to the hills of Afghanistan or the streets of Basra, where people are genuinely trying to do harm to their fellow man, we have to remember that the servicemen who we are putting there work under pressures most of us cannot understand, and the law has to be careful not to judge their errors as crimes to appease a fickle world. *1 The Act, strangely for a document which should require such precision, actually uses “he” to refer to servicemen and women. I have, rather lazily, done the same in this article as we are mostly discussing frontline troops, who in the British Army at least are still men and the “he/she” or “they” required to avoid it are too clumsy even for me. *2 British Law, although normally a misnomer with the separate English and Scottish judiciaries, I believe is appropriate here. *3 No Wikipedia hotlink this time, as the Glencoe Massacre page is awful.